Finding the best holiday tree for you and your family is important. It creates those family traditions that children will remember for a lifetime. Choosing the right tree for your family is important. If you kill plants during the year then it might be better to choose an artificial tree over a real one, because they will need watering if you want to keep it alive. A number of options that you will need to consider if you are having a real tree. Do you want a more expensive holiday tree, one where the needles will stay on the tree for longer? One that you can plant in your garden for next year? Alternatively, do you want a cheap tree to last just about a week? The more expensive the tree, the better quality the tree will be. Fraser Fir Tree: The better type of tree, which holds its needles. Norwegian Spruce tree is the most popular holiday tree but it does drop the needles really quickly. Whatever option you pick you will still need to water the tree on a daily basis. If you have pets or young children this might pose a problem, I often find my dogs under the tree drinking the water, they see me fill it up and think it is their new water bowl. To prevent this I have found that putting in newspaper absorbs the water so there is nothing for the dogs to drink but the tree manages to get the liquid it needs to keep looking fresh and perfect during the holiday period. It is possible to purchase a tree that is in a pot with the roots still attached and growing, this is great because you can plant it outside when the holiday season ends. You might try digging it up again next year and using the same real tree and watching it grow. However, there is a point where the tree will become too big to dig up and bring inside. One great suggestion is to grow a tree from germination, but this takes time; maybe if it is your child’s first Christmas this would be a great present and each year as the child grows so too does the tree. The eco-friendly way to have a real Christmas tree in your home is to rent one for the holidays and return it when you have finished with it. This way it continues to grow each year and it can continue to give pleasure to new families every year until it is too big to hire out. This type of renting will depend on where you live! For many years as a child, we had an artificial holiday tree and it was horrid, it was a cringe-worthy Christmas tree. Thankfully this is no longer the case with artificial trees! They have made fantastic improvements with how these holiday trees look and I am happy to have one in my home. It depends on how I feel as to whether I opt for the real tree or I dig out my artificial tree. I purchased an artificial tree a few years ago in the January sales so I don’t mind if I use either, it just depends on what I am looking for and the mood I am in prior to the holiday season, which tree option I pick. Artificial tree, there are loads of different colours and shapes to suit any budget! Tinsel, it depends on how you use it on your tree as to how good it looks! Christmas balls! I love these! Lights are an important part of the decoration! Therefore, it depends on what you are looking for as to what holiday tree you pick this year. Remember to think through what your needs are and your budget. It might surprise you as what the best holiday tree is! Real trees in the short-term are cheaper, but that is because they only last a few weeks. Surprisingly, a fake tree is a lot more expensive but this is purely because it’s made to last at least a few seasons rather than being thrown out each year! Look at the options that suit you, have you a space to store a tree for a few years? Will your budget stretch to the cost of an artificial tree? Do you have access to bring home a real tree and dispose of it after the holiday season ends? 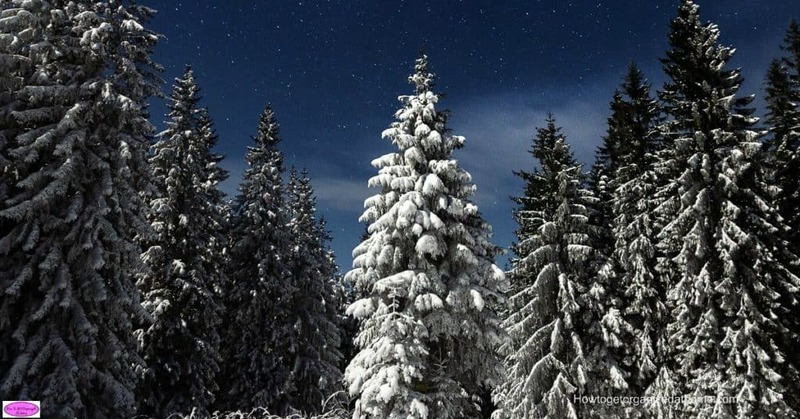 Once you are confident in answering these questions you will know which holiday tree you want! What is your best tip for finding the best holiday tree? Comment below! Looking for more articles about the holidays? 10 Fantastic Gift Ideas For Coffee Drinkers is a great place to start!